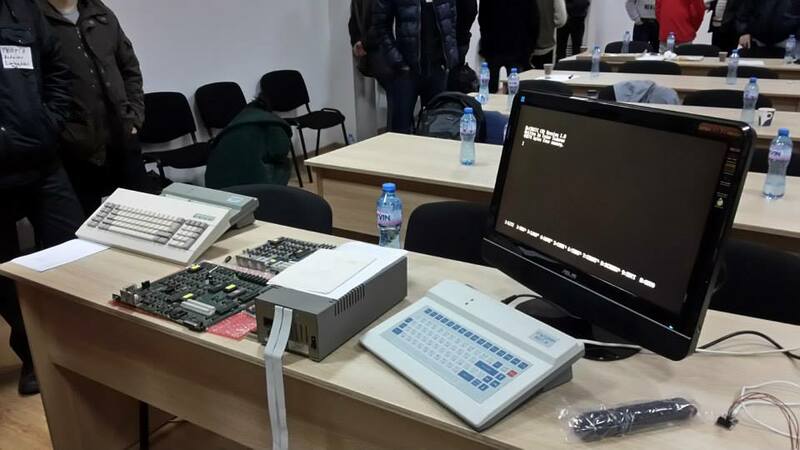 The first lecture at our Workshop in January 10th was about Puldin retro computers, so I will take this opportunity and write few words about it. 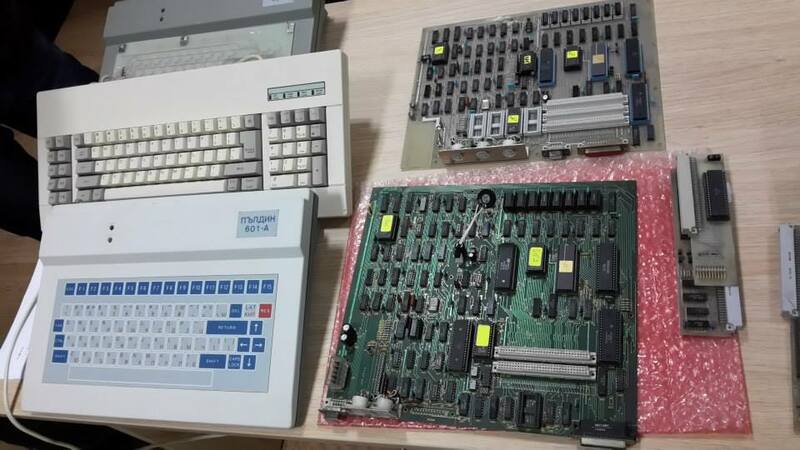 Puldin is big sentiment for me at least, because this is 100% pure Bulgarian development, while the “Pravetz” brand was copy of Apple ][ (Pravetz 8A, 8C, 8M), Oric (Pravets 8D) and IBM-PC (Pravetz 16) the Puldin computers were build from scratch both hardware and software and were produced in Plovdiv! 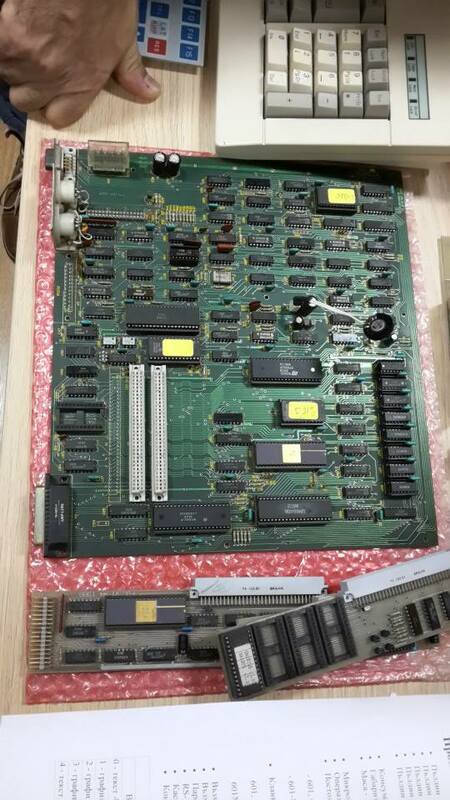 Puldin was produced in 4 modifications 601-A/U/M/T, the RAM memory was 64KB, the ROM was from 4KB up to 68KB depend on the model, the video output could be connected to normal TV, there was LAN card, Printer centronics output, Cassete input, RS232, Floppy disk, etc. 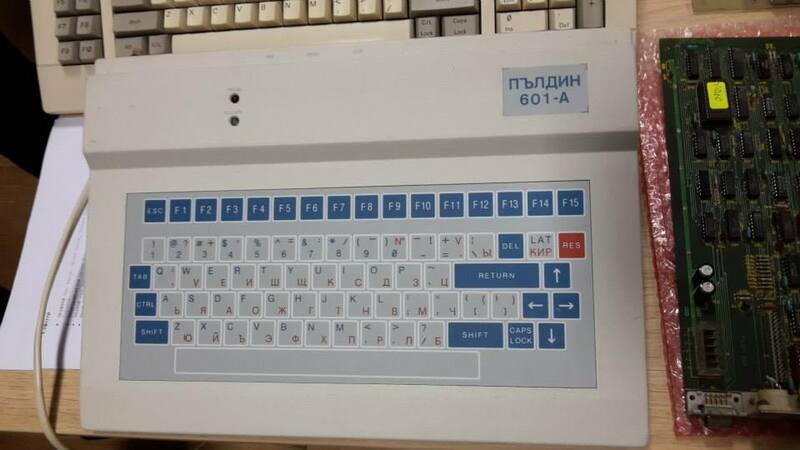 Back in 1987 the General Manager of the state owned factory for membrane keyboards ZSSU (“Zavod za Senzori i Senzorni Ustroistwa”) Slavei Papachev start looking for suitable device to manufacture to fill the factory capacity and decided that computer would be something worth to make. 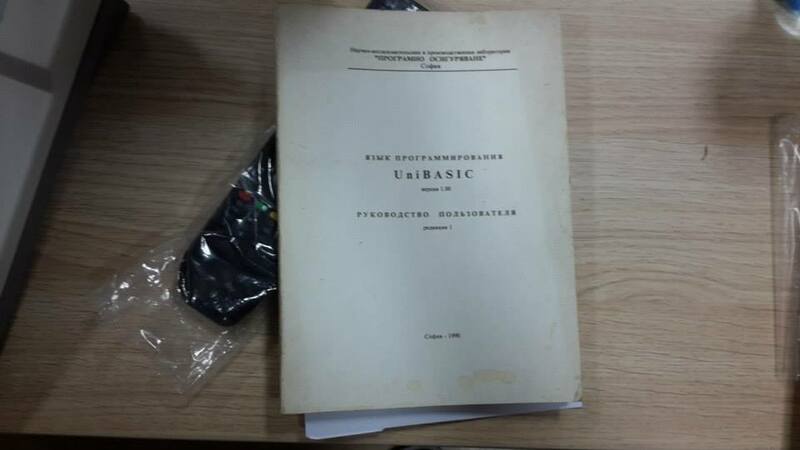 He asked the government agency “State Committee for Science and Development” for help and they connect him to NIPL “Programno osiguriavane” – small company within Sofia University. 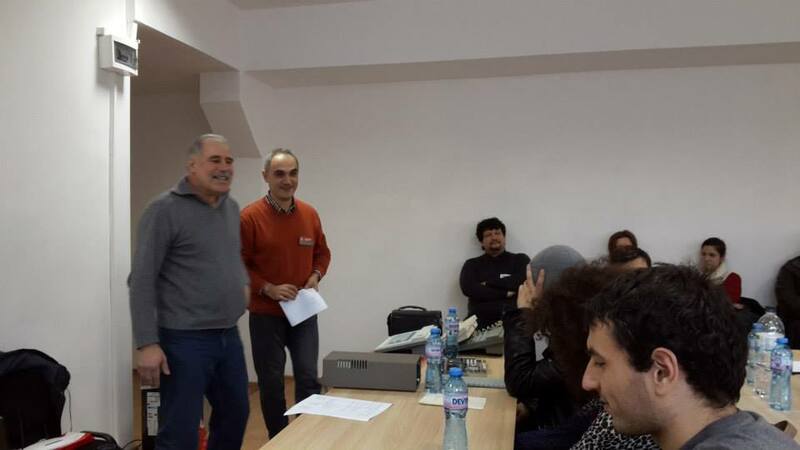 Together ZSSU and NIPL made joint venture named Abacus and start working on new computer with name PULDIN ( Puldin is ancient name of Plovdiv where ZSSU is located). 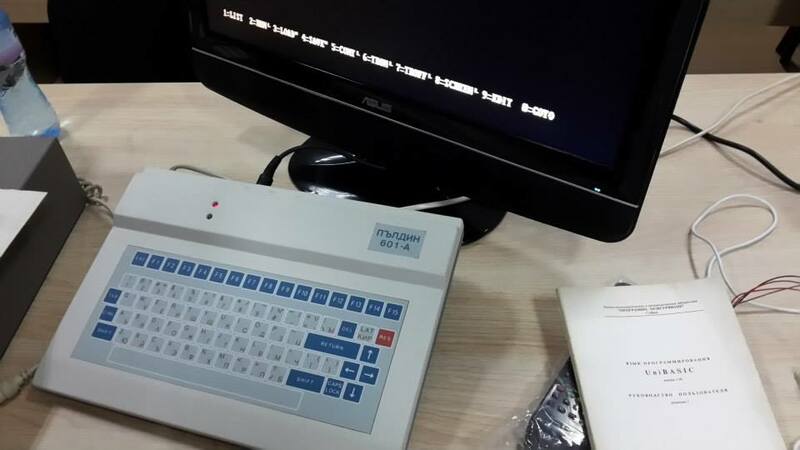 This membrane keyboard was the reason Puldin computer was designed and produced 🙂 unfortunately this also is the worst user experience keyboard I have worked with 🙂 there was no tactile click feed back so you basically don’t know if you pressed the key, fortunately later models had connector for external IBM-PC keyboard with keys, which make the work easier. As you can see Puldin was born very late in 1988 there are already lot of computers on the market including IBM-PC with 16 bit processor running at the remarkable 4.77Mhz 🙂 but the goal which ABACUS sets is to build computer with components which are produced completely in Bulgaria, at that time the Semiconductor Plant in Botevgrad is producing Motorola 6800 copies named CM601, so the choice was obvious the computer will be 8-bit and using CM601 (6800) family. if still not possible they must try to use components from other communist countries like Czechoslovakia, Poland, Hungary, East Germany, etc. only if nothing else is possible then designers can use components from Taiwan, USA etc., but this will make the later production and components sourcing incredible complicated process. Four engineers start working on the hardware: George Ginov, Ventsislav Gatev, Svetlozar Peichinov and Spas Georgiev. For one year they passed through prototypes and the computer hardware was ready for production. On our workshop I invited George Ginov (the guy with the mustache at left side on the picture below), who still works in Plovdiv and he spoke how the PCBs of Puldin were made 🙂 it was interesting to hear about the problems they had, both in the design stage and later in production (manually matching memories with same timing to may work together) the quality of the Bulgarian semiconductor components was not the best. The real masterpiece work on Puldin was done though in the software. There are six heroes who did this and the interesting thing is that all they were students when they wrote the firmware for peanuts and just to prove that they can do it. These are: Orlin Shopov, Ivo Nenov, George Petrov, Todor Todorov and Leonid Kalev. The software team got one decission – to make Puldin compatible with IBM-PC, so to may read IBM-PC disks they made UniDOS which basically do same like MS-DOS does on IBM-PC, then made their own Assembler, BASIC, Pascal, Editor, Diagnostic tools, even DBase equivalent, which worked same way on both IBM-PC and Puldin, so one could develop on any of these computers and then to move the code across these two platforms using Pascal P-code long time before Java portability was invented! Interesting thing is that all software was written on Assembler and Pascal, and the Puldin Pascal compiler was written itself on Turbo Pascal for IBM-PC which was the best compiler for PC at that time. Puldin production started in 1988 and between 30 and 50 000 pcs were shipped mostly to Russia. Then came 1989 and the communist system collapsed, the whole economy stopped working as it used to be in the old times and most of the factories were closed. Sure in ZSSU worked many talented people who lost their jobs, but started new ones in the private sector: George Ginov with 3 other ZSSU employees made Slectra PCB small company which designs and produces PCBs, another ZSSU employee – Dimitar Filipov made Philiks-M company which now produces membrane keyboards and actually duplicate what ZSSU did producing before the collapse, another ZSSU employee Encho Pondev made Taurus93 company which also makes membrane keyboards and panels. UPDATE 13-01-2015: After the blogging I sent e-mail to Orlin Shopov and got his reply today, he confirms that he can attend one of our next workshops! Thanks for the interesting article 🙂 Do you have any photos from inside the Puldin by any chance? Lots of facts that even i didn’t knew… I am Bulgarian who has lots of interest in computer engineering. I really can’t wait for your planed meeting with Orlin Shopov. Ей, как ми се иска да бях присъствал. Кажете че сте я записали на видео и ще я качите на тубата! 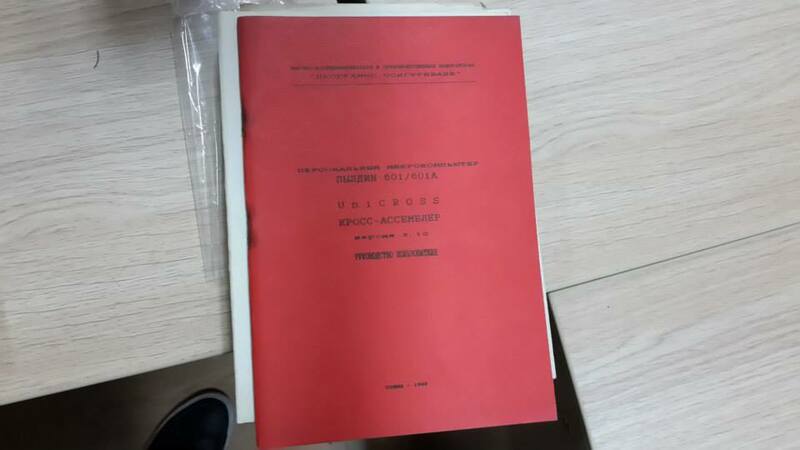 Това дали ще може да се подкара на виртуалка? I used to work for NIPL that time and it was real joy. I think Ivo Nenov runs software company in Sofia. George Petrov was always my personal hero and i would recommend you to invite him for compiler lecture. Thank you for the interesting blogs i follow and enjoy.